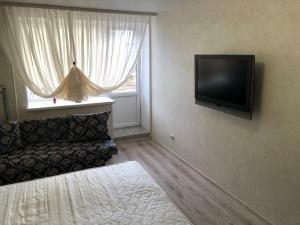 A-HOTEL.com - Luxury and cheap accommodation in Novodorozhnyy, Russia. Prices and hotel, apartment booking in Novodorozhnyy and surrounding. Located in Kaliningrad, 2.6 km from Church of the Holy Family, Apartment Tihoretskaya 12 offers a living room with a TV, and free WiFi.